There are lots of ways to get involved. You can volunteer to phone bank. You can help us go door to door talking to voters. You can walk with us in parades or help staff booths at community events or festivals. You can even offer to host a fundraiser. But before you can, you have to sign up! See below for the sign up form. 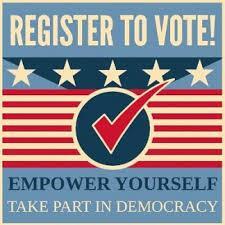 click above to register to vote! Find out information about your community. Who are your elected officials, when is your trash day, Where do you vote, What School District and IMPD District do you reside in. Find out all this and more by clicking the picture below.